Sumoku. 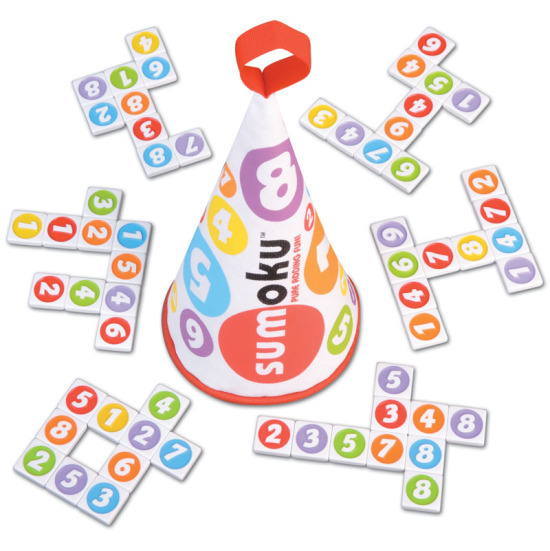 SUMoku sounds similar to popular puzzle game Sudoku. But, there are tiles to be used instead of just a paper and pencil. In all SUMmoku games, tiles must be arranged in a corssword-style pattern such that each row and column adds up to a multiple of the key number. The key number is the number rolled on the die. The created pattern itself is called a Sumoku. Here at PERC, you may find this game in the General Math section, or under the spotlighted "New Items."